Since the surgical strikes, 178 militants have been killed, both in the Kashmir Valley and on the LoC — 31 between October and December last year, and the rest this year. In nearly a year since the Army’s Special Forces carried out “surgical strikes” on terror launch pads inside Pakistan-occupied Kashmir (PoK), there has been an increase in the casualties suffered by the Army, the number of militants killed, and a sharp spurt in the number of ceasefire violations. According to government data accessed by The Indian Express, 110 militants were killed by the Army between January and September last year (the surgical strikes took place on the morning of September 29, 2016). “The increase in the number of militants killed is due to the ascendancy of the security forces and their high morale. There is greater acceptance of the Army across the country after the surgical strikes, and a message has gone out within the Valley that things can happen,” a government official told The Indian Express. However, there has also been a spike in the casualties suffered by the Army in operations against militants and ceasefire violations on the LoC. Thirty-eight Army personnel were killed between January and September last year — including 19 who died in the Uri attack, which led to the surgical strikes. Since the surgical strikes, the Army toll has gone up to 69 — 25 between October and December last year, and the rest this year. “The higher number of casualties is directly linked to two factors: more engagement with the militants, and increasing number of ceasefire violations,” said the government official. Government data also shows that while there were 228 ceasefire violations on the LoC last year, the number till September 14 this year has already touched 444. According to government sources, over 60 per cent of the 228 ceasefire violations last year took place after the surgical strikes. “The ceasefire violations are directly linked to infiltration bids. As Home Minister Rajnath Singh said in Jammu the other day, more than 400 infiltration attempts have been made this year, much higher than last year. But we must recognise that we have also retaliated strongly on the LoC to Pakistani provocation. Also, we have been proactive, with actions on the LoC to stop Pakistan from sending militants across,” said the government official. 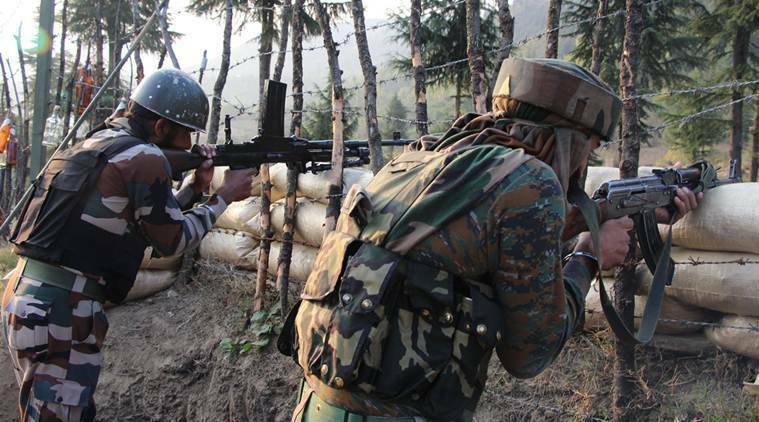 After the surgical strikes, 34 militants were killed on the LoC while attempting infiltration — including 27 this year. In comparison, 20 militants were killed on the LoC before the surgical strikes last year. “The numbers are just one part of the story. You should look at the big picture. We are in ascendancy, both in the Valley and on the LoC, after the surgical strikes. That is what matters,” said the government official.